Gov. 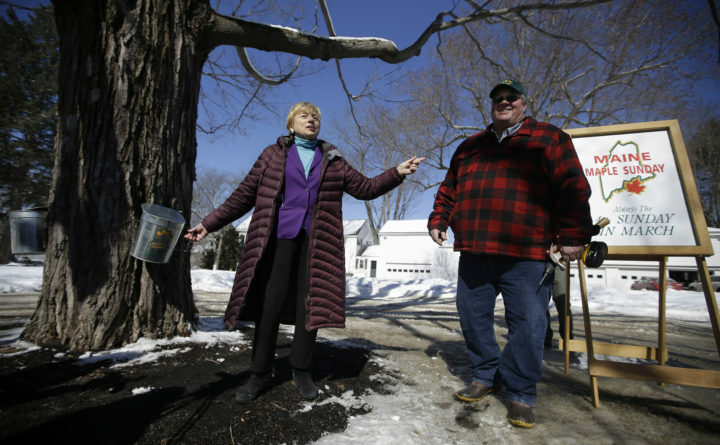 Janet Mills celebrates the start of maple syrup season after taping a maple tree on the Blaine House lawn with Lyle Merrifield, president of the Maine Maple Producers Association, Tuesday, March 5, 2019 in Augusta, Maine. Producers around the state will welcome guests on Maple Syrup Sunday, on March 23. Gov. Janet Mills and her party’s chief legislative critic of Central Maine Power were all smiles on Wednesday when the governor signed his pro-solar bill into law, but that may belie a pending showdown on the utility’s $1 billion corridor proposal. Mills is the highest-profile backer of the transmission line that would take Quebec hydropower to Massachusetts through a western Maine corridor. The staff of the Maine Public Utilities Commission recommended on Friday that it move forward, but towns including Farmington have opposed it in recent votes and a recent poll from opponents underlined its deep unpopularity. 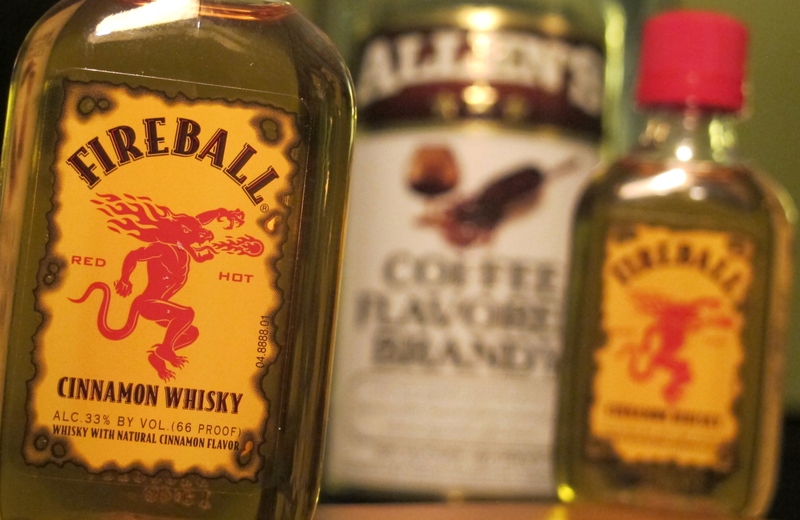 It may be tracking for passage at the regulatory level, but legislators are taking aim at it. Rep. Seth Berry, D-Bowdoinham, the co-chair of the Legislature’s energy committee, has proposed a bill that would make every town that the corridor passes through approve it at referendum. Mills was measured when asked about anti-corridor bills on Tuesday, but she said she’s wary of proposals aimed at one project. Mills and Berry were on the same side on Tuesday, when the Democratic governor held a signing ceremony at an Augusta stove shop for Berry’s bill that would restore a state policy of reimbursing solar owners for energy sold back to the grid. The two hugged at the photo op and mingled with fellow advocates. Berry’s bill is just one of the legislative proposals aimed at the corridor. Sen. Brownie Carson, D-Harpswell, also has a bill that would mandate a carbon emissions study before the project is permitted and there are others dealing with the potential use of eminent domain. Most of them have bipartisan groups of sponsors and could force an initial legislative showdown with Mills. A longtime top aide to Mills’ predecessor was hired as CMP’s head lobbyist. The utility announced on Monday that Kathleen Newman, the deputy chief of staff to Gov. Paul LePage from the time he took office in 2011 to an abrupt departure in 2017, has been hired as the head of government relations. She returned to CMP after working there around the turn of the century. She replaces Joel Harrington, CMP’s in-house lobbyist for more than five years until he also left abruptly in February after leading the lobbying and public relations push for the corridor since July 2017. The Maine corridor became Massachusetts’ top option in early 2018. CMP is also supported by outside lobbyists including Jim Mitchell, a former Maine Democratic Party chair and influential party operative who was the state’s highest-paid lobbyist from 2008 to 2018, bringing in $2.9 million in payments disclosed to the Maine Ethics Commission. The utility paid Mitchell, the nephew of former U.S. Sen. George Mitchell, more than $16,000 from December through January for lobbying legislative and executive branch officials. He and Newman will be tasked with beating back Berry’s bill and others looking to derail the project. Lawmakers will have to contend with a bit of snow this morning, but it won’t stop this legislative day from starting early. Neither legislative chamber is in session, but most committees are. Public hearings and work sessions begin at 9 a.m. and will include consideration of bills that regulate moose hunting, municipal landfilling, allow towns and cities to impose a year-round local-option sales tax, and one that seeks to increase the governor’s annual salary from $70,000 to $125,000 and legislators’ wages from $14,862 in the first year to $20,000 in 2020. The Veterans and Legal Affairs Committee will hear public testimony on a bill this morning from Rep. Kent Ackley, I-Monmouth, that would allow unenrolled voters to cast ballots in primary elections. Listen here. Environment and Natural Resources Committee members will likely vote around 1:30 p.m. on Carson’s emissions bill. In a joint press conference last week, Sen. Mark Lawrence, D-Eliot, said, the bill would allow for a “full and fair assessment of the climate claims coming from [CMP’s] public relations department.” Listen to the committee meeting here. Mills will also convene a group of officials focused on the opioid crisis. The governor and Gordon Smith, the state’s director of opioid response, will hold the first Prevention and Recovery Cabinet meeting at 10 a.m. Mills signed an executive order in February establishing the cabinet, which is composed of the state’s commissioners, Attorney General Aaron Frey, and two Mainers who’ve had direct experience with the opioid crisis. Coordinating state agencies’ response to the crisis is among the group’s goals. — Democrats keep control of a Maine House of Representatives seat after a special election in Bath. On Tuesday, voters in House District 52 elected Sean Paulhus, a 33-year-old Democrat, to succeed Democrat Jennifer DeChant, who resigned on Feb. 1 to take a private-sector job. Paulhus, vice chair of the Bath City Council, easily defeated Republican Kenneth Sener. Paulhus’ victory gives the Democrats 88 of the 151 seats in the House, with one vacancy to be filled in Cumberland and part of Gray on June 11. The two special elections so far have been in heavily Democratic districts, but the next election is in a district that leans Democratic by only 3 percentage points. — Amid legal setbacks at the national level, Maine Democrats are rolling out a bunch of bills designed to help public-sector labor unions. Maine Public reports that the Legislature’s labor committee held a public hearing Tuesday on a bill that would require government agencies that employ union workers to provide public-sector union officials with names, addresses, phone numbers and other contact information of new employees. It’s a response to last year’s U.S. Supreme Court decision that restricted public-sector unions from collecting “fair share” dues from employees who don’t join a union, even though the union must still represent them in collective bargaining and disputes with their employer. While labor unions’ ability to deliver members’ votes in large numbers to Democrats has declined, their leaders and Democrats remain staunch allies. — Medical experts who testified at a murder trial agree that the 4-year-old victim died of abuse. On the second day of the trial of Shawna Gatto, 44 of Wiscasset, who has been charged with murdering Kendall Chick, the granddaughter of her fiance, both Dr. Mark Flomenbaum, the state’s medical examiner, and Jack Daniel, a forensic psychologist for the defense, agreed that autopsy and other results indicated that Chick had been physically abused. The trial in Augusta enters its third day today. Superior Court Justice William Stokes will decide Gatto’s fate. It’s been almost a year since the Necco Candy Co. in Massachusetts abruptly closed. Much gnashing of teeth — fillings, more likely — has occurred since then. In addition to its signature wafers — which may or may not have filled in for communion hosts in various sacreligious Long children Mass re-enactments — the company also made a variety of penny candies. Among them were Sky Bars, Mary Janes, SweetHearts, Mint Juleps, Squirrel Nut Zippers and Banana Split Chews. For those of us who gained sustenance from these strange confections during our formative years, near panic ensued at the thought of their disappearance. Luckily, the website candystore.com is keeping close track of efforts to preserve or revive these molar-rotting delicacies.